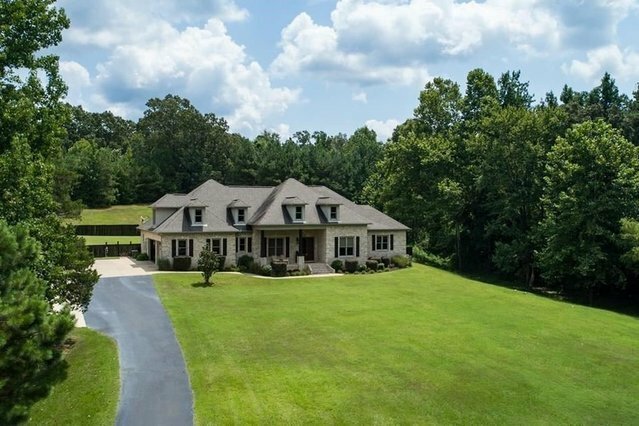 Like new Luxurious Home with approx.5000 Sq ft, 45 X 60 RV parking/shop with 4 RV Hookups, on 15.5 acres, 6 minutes to Oxford Hospital, 20 X 40 salt water pool, 6 stall barn & arena ready for horses. All hardwood floors on first floor,granite in kitchen,keeping room with wood burning fireplace,(3) HVAC (2) tankless water heaters (2) Family Rooms,Breakfast and a Master Bedroom has beautiful view of pool and patio area. Central VAC ,sprinkler system , Some equipment stays. This Resort Lifestyle is a 'one of a kind' Best in the area.